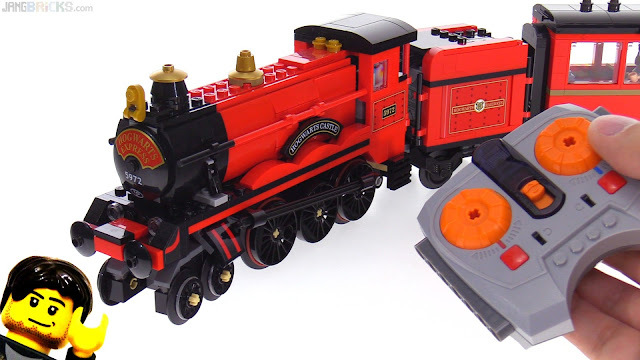 In my review a couple weeks ago I expressed my desire to attempt a motorization of the latest (and best) Hogwarts Express, but shortly thereafter I began to lose faith that I'd find the time. Thankfully a very productive week left me with the better part of a day to work on this (and motivation to boot!). In the video I discuss some of the viable options for attempting your own conversion, along with pros & cons, and I partly dissect my attempt to fully show off the arrangement of components & methods of connection. I believe my choice of M motor + PF 1.0 IR receiver in the locomotive & battery in the tender is one of the more difficult setups to pull off, but it allows remote speed control, provides good driving traction, and leaves the passenger car completely untouched for a fairly clean look in motion. Would you be willing to provide a detailed parts list that you used to pull this off? Would you be willing to provide a detailed list of the parts you used to modify the Hogwarts Express? 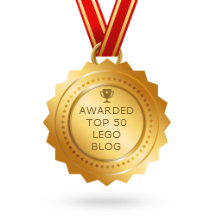 Can you detailed (step by step for a french newbee in lego mod ^^) how to modify with the choice of M motor ? I love it! However, can you PLEASE provide a detailed list of what is not spoken about in your video. I can't figure out for the life of me what parts in addition you used to complete this difficult setup. It is the best of the ones you shown. It would be appreciated it.